Originally published on 15 June 2017. 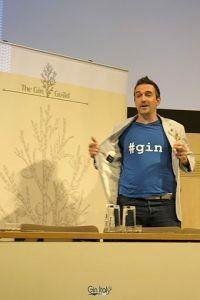 I have been writing about Gin and I have been drinking it for years, it was time to go for a pilgrimange in London. 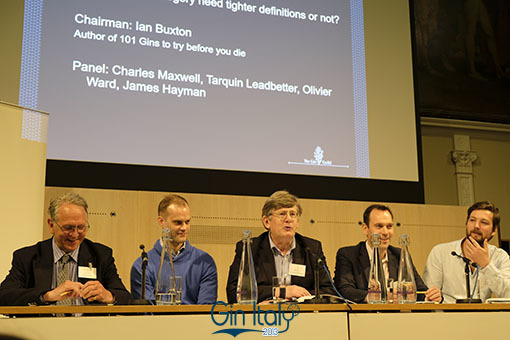 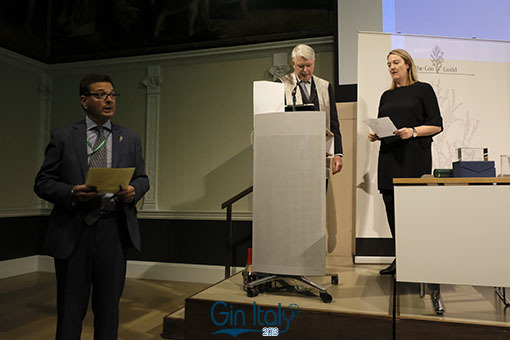 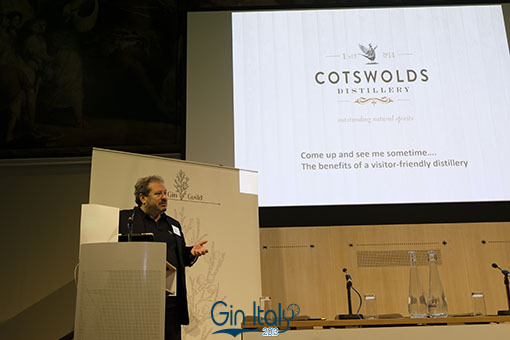 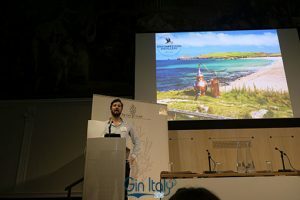 One of the motivation to fly to London was to attend the Gin Guild’s Ginposium, all the other things I have experienced there came after my decision to attend this trade event about Gin, organized by a club of producers for producers. 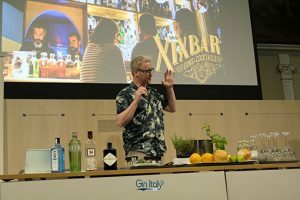 For a Gin Lover like me, it was just like be to in heaven. 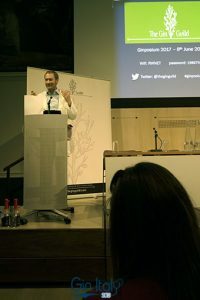 It will take more than an article to explain the location, the whole accuracy, the class perceived and the quality of the organisation, starting with the very useful list of attendees, in which I had the honor to be included, it actually made me feel very “small” reading all the other members of the list. 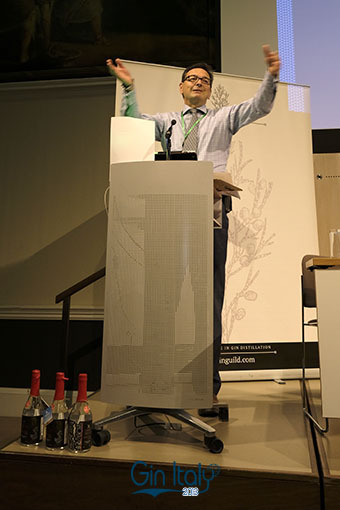 Ginposium brief and intense seminars, were very well mixed by the Gin Guild Director Nicholas Cook: some of them were even fun, other were deep into the chemistry of Gin or laws. 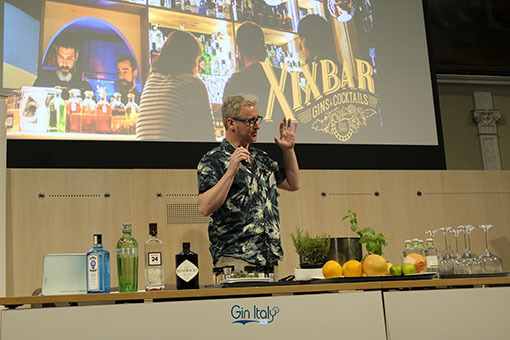 Saying they were all interesting is not enough, they were all worth the trip. 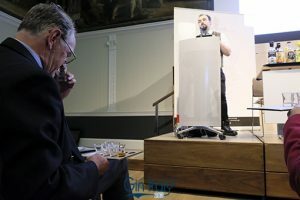 From my own point of view. 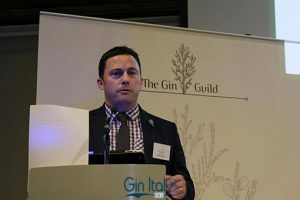 I particularly liked the high consideration given to bloggers at the Ginposium: the 2 rounds of tasting were led by the always great David T. Smith of Summer Fruit Cup, a very appreciated source of information, created by the most influent blog in this industry. 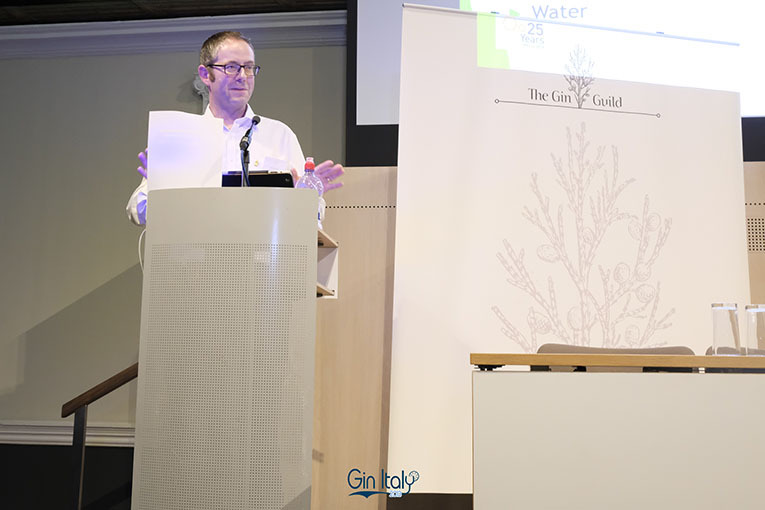 During the morning round, we were even blessed with a taste of the new Hendrick’s Gin, Orbium. We all agree that making a new Hendrick’s is hard and we will all agree that they succeed greatly in this operation. 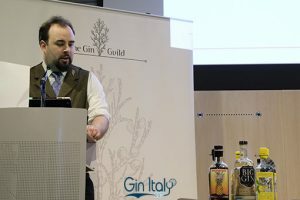 Orbium bitter not note is good and very long lasting, waiting just to be mixed with Tonic Water or Vermouth’s woormwood. 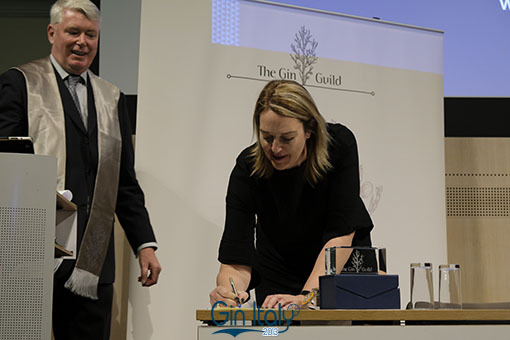 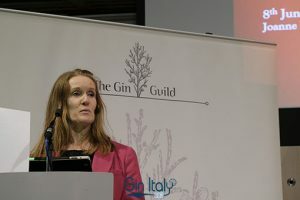 Caroline Childerley of ginqueen.com, the one and only Queen of the Australian Gin, also attended the Ginposium and was admitted in this occasion to the Gin Guild. Congratulations! Attending Mr. Henric Molin’s (Founder and Owner of Spirit of Hven) seminary was so interesting. 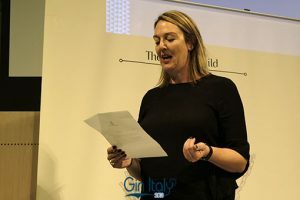 I just wished it could last more. 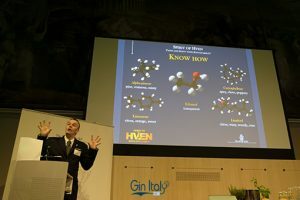 The possible analysis that he explained to be possible for Gins make lot of sense. 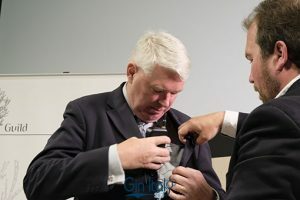 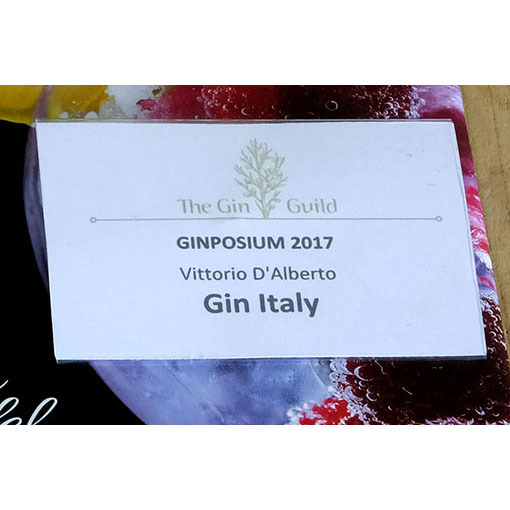 The Gin Guild’s Ginposium is really the place to go to learn about Gin, to meet the main player of this world, to hear their opinions and have a chat with them. 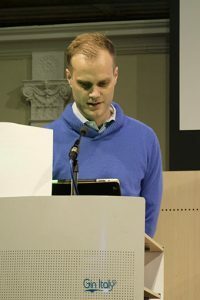 I really thank everyone I had the honor to speak with, you were all precious. Grazie.